Nearly all entrepreneurs expect to be cash strapped at some point in their business journey. It happens even to the wealthiest entrepreneurs on earth today. A demanding project comes along and sees on invest heavily in it expecting huge returns. Delays then occur and before one knows it, the expected returns take a whole decade to come through. That is why one must be extremely resourceful so as to cover everyday expenses. Sadly, business men turn to credit cards. 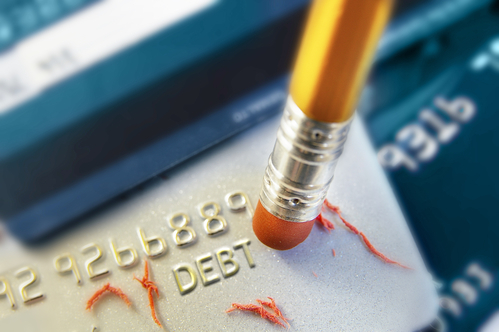 While this is not a bad thing, it often leads to a debt crisis that can be hard to manage. Here’s how to avoid such a mess and how to manage accumulated credit card debt as an entrepreneur. There are business needs that crop up when one least expects. It could be a new set of furniture needed after the ones you had break down. Or you may need to relocate to a new business premise after your current lease expires. Instead of spending a lot on new furniture or securing a new place, you can use credit card points for your personal card issuers. You can then order everything online and keep a few of your gift cards in reserve to reward your staff. The bottom line here is to minimize expenses. Look at it this way. Facing compound interest as compared to tapping into your liquid reserves makes a lot of sense. Done strategically, it is possible to pay off your credit card debts without allowing or letting interest to accumulate on top of your balances. Ultimately, you will have to use your business and personal credit cards just as smartly. Keep in mind though that your business card should always get first dibs on payments solely because they drive income and revenue. Tax is inevitable. You cannot escape it. With that in mind, hire someone to help you manage it. That way, you can avoid tax penalties that may eventually turn costly. Spending money this way may seem dumb but think of it as an investment. Think about it this way. You can use your tax refunds to clear some of your personal and even business debts until your business takes off. This will help you to focus on reducing the balance of higher interest credit cards. You may at one point receive an offer from your credit card issuer to transfer balances at a low rate. The offer could be irresistible. But do your research and your math first. That way, you will easily see if you will be able to save anything by transferring a huge chunk of debt. If everything checks out, go ahead and consolidate. Remember that you do not have to hire a debt consolidation company so as to make this move. Do it on your own and be keen on your numbers. Getting rid of high interest credit cards entirely may not be easy. You may have a hard time getting rid of them entirely. Try to put them away though in a safe cabinet, a safe deposit box or at home. Like the old adage goes, out of sight, out of mind. put them away then pay down your balances. Do this as fast as you can while focusing on one card at a time, each time paying more than the minimum balance or amount due.